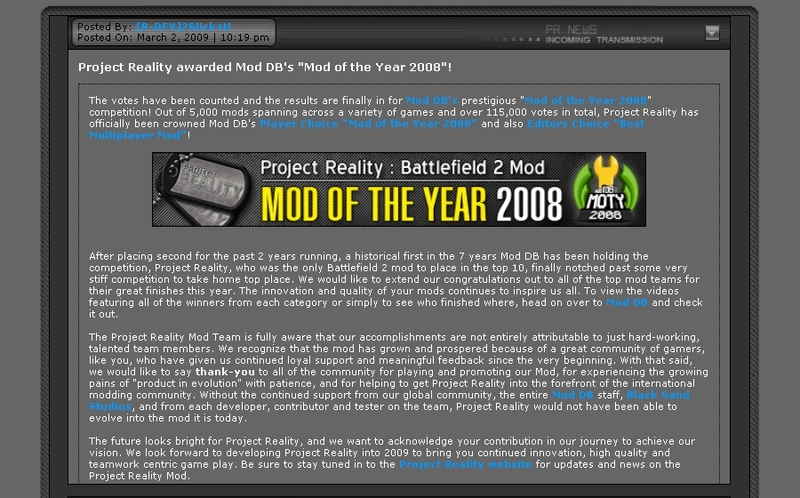 Project reality is 2008 Moddb winner! Project reality wins Moddb independent game of the year awards. The PR team has worked really hard since 2004 with a fantastic community to get to this point so far! This time a 'Stormer' Anti aircraft vehicle created to cover frontline troops and tanks, promoting teamwork and improving gameplay further for Project reality. Developed for the cry engine, these aircraft will have working cockpits, control surfaces and realistic damage effects. 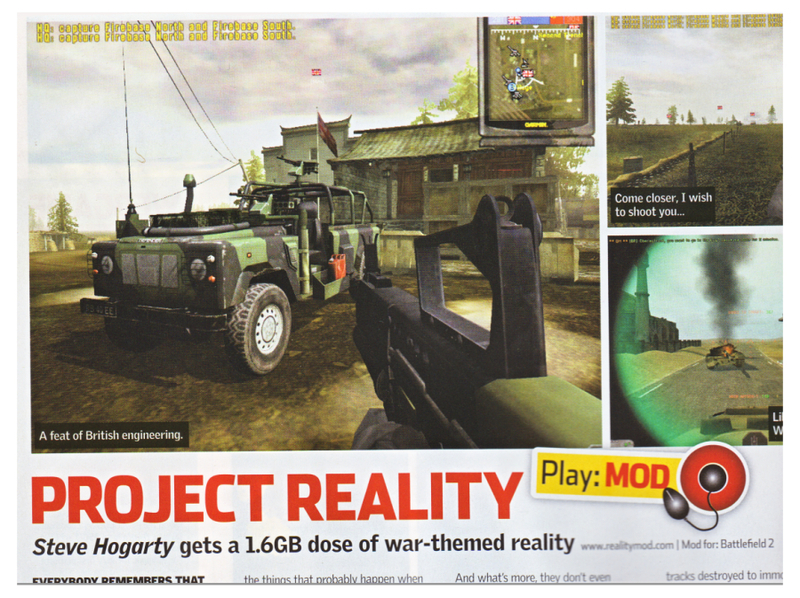 Project Reality has made hardcopy this month in none other than the British Army’s long time publication, Soldier magazine. 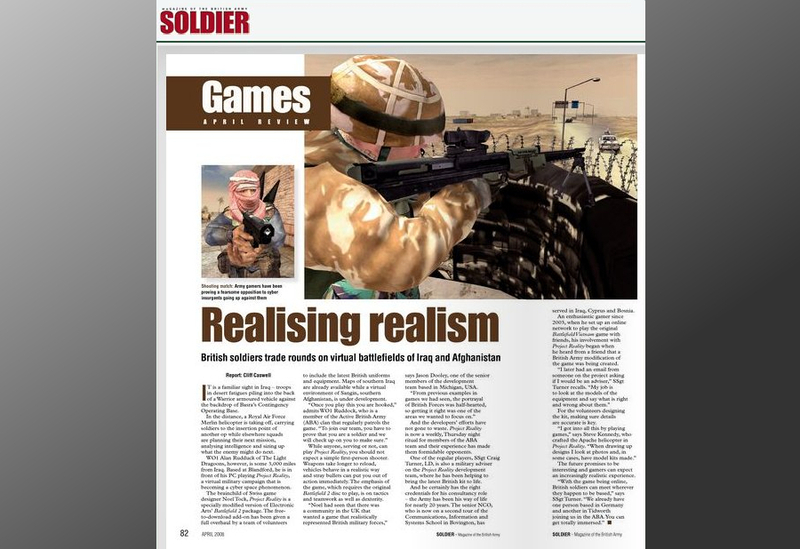 The April 2008 edition contains an article in the gaming section on the British forces firm entry into FPS gaming with noted help from serving British military training staff and a team of specialised programmers and designers. Harrier GR-9 model for the video game 'Project reality'. Scimitar modeled textured and rigged for the video game 'Project reality'. Latest update showing my latest creation, a Challenger 2 tank modeled, textured and rendered for 'Project Reality'.